As B2B VAS full service provider, we are a one stop-shop for delivering any service and/or solution. We have experts and the capacity to provide consulting and ideas, concepts, specifications, design, development, test, implementation and operation. Our products, frameworks and platforms are in-house made and we can host the developed services and solutions in one of our international data centres. We provide operation, maintenance and 365/24/7 services including professional end user customer care. There is a variety of service types in our portfolio: games, voting, IVR based services, social network, content subscription, video on demand, etc. They incorporate many elements, such as Direct Operator Billing, SMS, MMS, IVR, mobile Internet, Mobile applications, streaming and back-ends that include advanced CRM and user wallet. 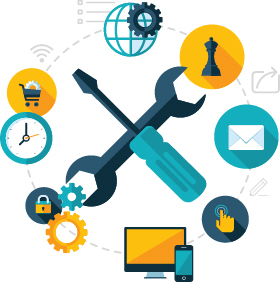 Advanced Service logic platforms enable us to provide any service integrated with external platforms and systems in the shortest time. We support a variety of payment methods (onetime or recurring) and locally optimized payment flows. We offer white label services and solutions and consulting, concept and realization concerning monetization for content owners/media houses. All our services include advanced business analytics providing deep inside in-service performance and foundation for decision-making and service optimization. Visit Samurai Digital web site (www.samurai-digital.com) and get more information.